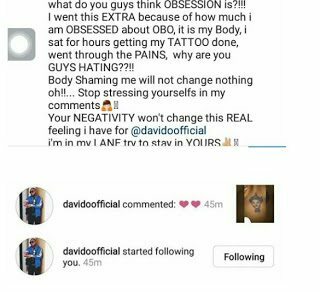 Recently, a faceless photo of a lady who appears to be a die-hard Davido fan emerged online. The lady had a tattoo of DMW’s logo on her chest. 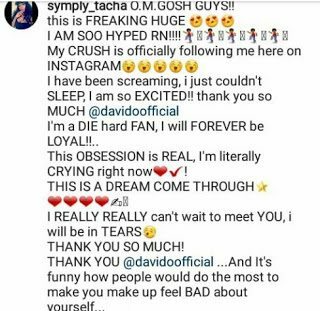 Meanwhile, in his reaction to this show of love, DMW boss, Davido reciprocated by following the lady on Instagram and dropped a love emoji as comment on her post on Instagram.